Carlos Mendes hooks us up with a list of his top local beers for the last week of summer. Some reflect seasonal flavours, ingredients and stylistic trends, while others are just solid year-round offerings that are tasting especially delicious right now. All are brewed in and around Vancouver, and getting your hands on them won’t require lining up overnight at limited bottle releases or chasing brewery delivery trucks around town. 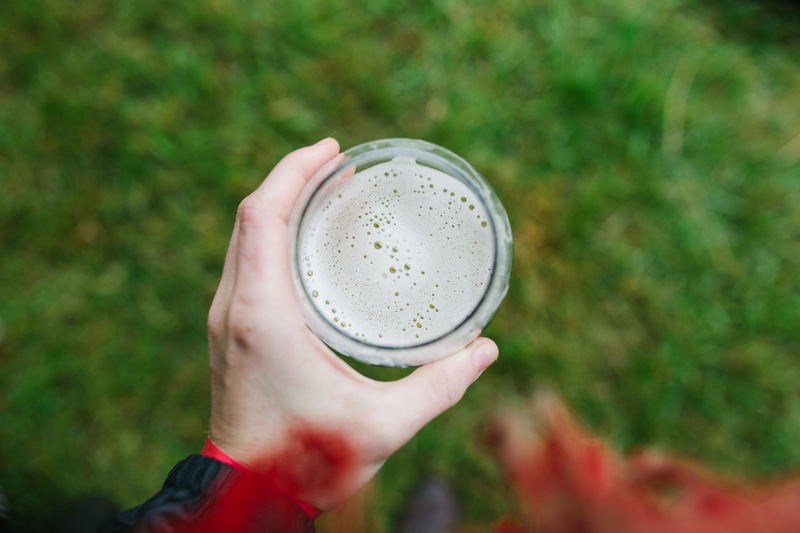 While there really isn’t a bad time of year to enjoy all the amazing beer being made in our fair city, there’s just something about the end of a Vancouver summer that makes all that fermented deliciousness taste a little better. I reckon taking a moment to kick back and soak the last of it in with your favourite local beer is a pretty sound way to savour this fleeting break from the rain. So here – for the last of your summer sipping, savouring and sessioning – are a few local beers that I am absolutely loving right now. Be sure to share your own top picks in the comments section below. DAGERAAD BURNABARIAN | I just can’t get enough of this beer. A Belgian Style Tafelbier (or table beer), Burnabarian is the kind of beer that should always be in your fridge. It pairs with everything from charcuterie and barbecue to Thai Curry, and manages to be refreshing and unassuming while simultaneously being complex and deeply satisfying. Since debuting in cans back in February, it’s been constantly stocked in my fridge, and (as I’ve cheekily complained to Dageraad’s brewers Ben Coli and Mitch Warner more than a few times) I’ve probably gained about 5 Burnabarian pounds that I just can’t seem to lose. Hard not to see this making the list come fall (and winter, and spring….). STEEL & OAK RED PILSNER | Another steady go-to for all seasons that’s so solidly delicious and works so well with so many different type of food that it’s been a personal staple since it debuted in 2014. The unique use of caramel malts give this pilsner its brilliant copper color and its sweet, nutty, malt base, but don’t be fooled, S&O’s Red Pilsner still manages to give you that bright crispness and mild, bitter finish that you’ve come to expect from the style. It pairs perfectly with the robust umami framed sweetness of char sui and the carmelized sugars and spice profile of pulled pork and Texas-style baby back ribs. BRASSNECK RASPBERRY CHANGELING | This could be my favourite local summer release. With bright notes of lychee and tangerine that effortlessly mingle with subtle hints of oak, the five hundred pounds of juicy, vine-ripened Fraser Valley raspberries that go into every batch of Raspberry Changeling really are the stars of this beer. Typically only available from late spring until early fall in cans, glasses and growler fills at the brewery, so don’t miss your chance to enjoy this perfect summer beer. A great beer for everyone who loves an El Diablo or a glass or rose but thinks they don’t like ‘beer’. SUPERFLUX COLOUR & SHAPE | The first beer released by Matt Kohlen and Adam Henderson after leaving their shift at Callister and rebranding as Superflux, Colour & Shape has been produced a number of times now at a few different facilities and remains one of my favourite local beers. To be honest, I haven’t met one of head brewer Kohlen’s beers that I haven’t liked, and like so many fans of their ongoing ‘Experiment in Beer Production’ I anxiously anticipate their next release. A lusciously soft, golden, hazy IPA displaying bright tangerine and lemon notes with a gentle malt base and some nice subtle hints of mango, papaya and pineapple. The first of many labels designed by Kohlen – the man behind all of their rad labels. Can’t find it? Try Boombox’s Rad Seeker or Backcountry’s Widowmaker. FIELD HOUSE SALTED WHEAT GOSE | Another gorgeous, primarily seasonal release, this low-ABV offering pairs equally well the hot afternoon sun and the bright heat and the citrusy tartness of ceviche. A sour wheat ale that originated in Germany, Goses (pronounced Go-zuhs) had nearly disappeared until the style re-emerged on this side of the pond around 2014. Incredibly refreshing and sessionable, Field House’s version of the style was (along with Modern Times’ Fruitlands Gose and Bruery Terreux’s Goses are Red) one of my favorite beers last summer – and it’s shaping up to be the same again this year. FOUR WINDS NECTAROUS | Another go-to beer that you’ll never regret having in stock. The fact that Nectarous is now so widely available, both at government liquor stores and at craft-focused tap rooms, says a lot about how much our province has embraced quality local beer and how much people’s tastes have changed in recent years. It probably helps that Nectarous was deservedly recognized as ‘Beer of the Year’ at the 2015 Canadian Beer Awards, and that since its release in 2015 it is has consistently remained the best dry-hopped kettle sour made in BC. Gorgeous stone fruit, bursts of passionfruit and mango, and bright citrus notes all shine through. Like Raspberry Changeling, a great beer for wine lovers. BOOMBOX ARCADE GLOW PALE ALE | Since partnering with Parallel 49 a few months back, this former Callister associate brewer’s beer has become far easier to get your hands on. Totally deserving of the crazy hype that surrounds their beer, Boombox can’t really do wrong in my humble opinion. This latest batch of Arcade Glow is insanely good, and is available at P49’s tasting room, at select private bottle shops, and even the BC Liquor Store on the Drive. Pouring a cloudy, golden yellow, and packed with bright, tropical citrus notes, this hoppy pale is reminiscent of the East Coast IPAs you’ve come to love from Boombox, but coming in at 5% ABV, it’s a perfect companion for a hot summer day. Can’t find it? Try Easy Tiger by Superflux or Backcountry’s Trail Breaker. BRASSNECK NO BRAINER | What, two beers from Brassneck? I really struggled with this one, because although I wanted to spread the love around, I couldn’t overlook my favourite local light lager (and no list of my summer favourites would be complete without Raspberry Changeling – hence my dilemma). Due to the global dominance of awful, homogeneous light lagers, the style is often unfairly derided and disregarded by those of us with an interest in quality, artisanal beer. However, believe it or not, they’re actually super hard to make well, and even the most accomplished brewers can be reluctant to take them on. Fortunately, Brassneck’s Conrad Gmosser is not one of those brewers. Brewed with corn, and coming in at 4.5% ABV, No Brainer gives you everything you want in a light, sessionable lager, but unlike the golden ‘suds’ you used to find in your dad’s fridge growing up, it’s incredibly balanced, flavourful and delicious, and won’t let your fancy grownup taste buds down. Did I miss one of your top local summer picks? Please share it in the comments section below! Steamworks Killer Cucumber Ale was my summer drink this year. My go to beer is the Trinity Street IPA. Local hops. It’s delicious.